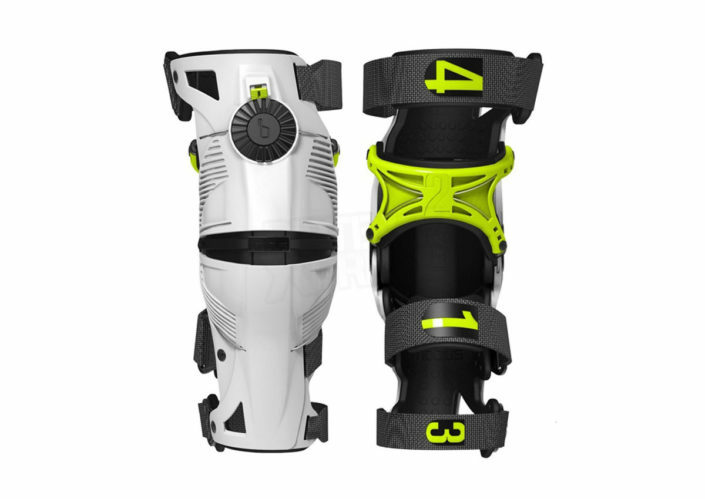 Mobius Knee Braces are designed like no other. 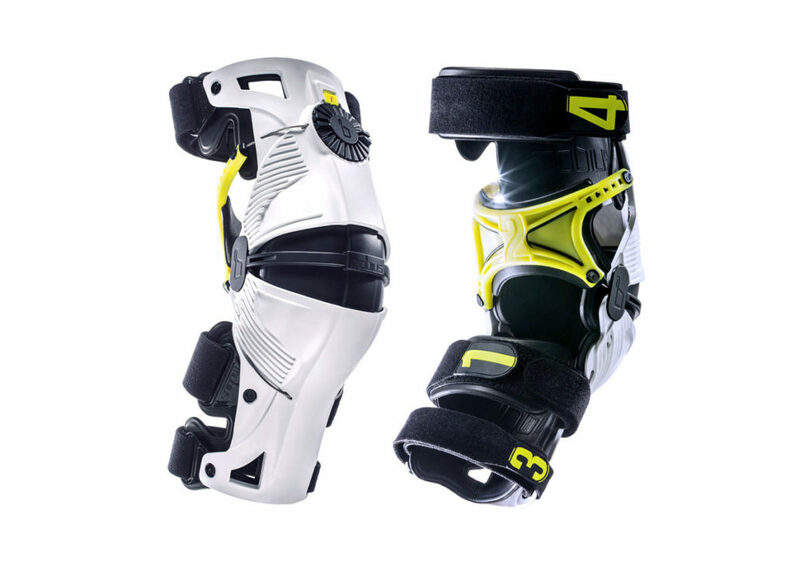 The X8 Knee Brace is the result of seven years of research, development and testing. Everyone’s legs are different shapes and sizes and many people have different size legs. Mobius X8 Braces are completely customizable to accommodate different leg sizes and shapes. 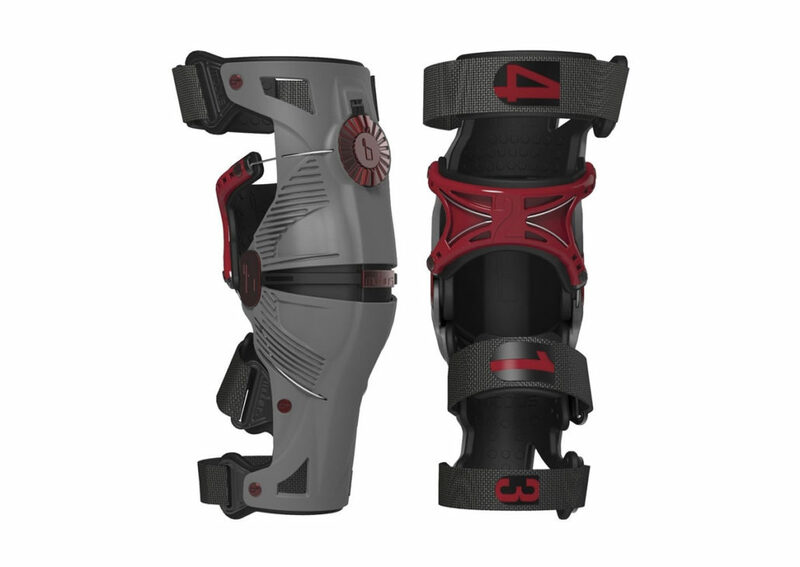 Your braces come with two different optional thicknesses of Patellar Shell Pads so that you can get the brace to fit as snug as possible against the sides of your knees. 20% Glass Filled Nylon shells are designed to be flexible in places to allow the shells to conform to the users leg for better fit, comfort and stability, and designed to be rigid where necessary to resist excessive movement and provide impact resistance. The Dial, Dial Fastener, Extension Stop, and Hinges are made of CNC Forged 6061 T-6 aluminum for maximum strength. The cable is made with an Ultra High Molecular Weight Polyethylene Fiber. This material is being used in many advanced applications such as the aerospace industry and the military. It is the latest replacement material for Kevlar. It is known for its high tensile, bending and abrasion strength. The Tendon Back Plate is uniquely designed to route the cable around the users leg in strategic locations to reinforce the main ligaments of the knee. The Tendon Back Plate is made from a special flexible Kraton material designed to grip the users leg and prevent migration. The Foam Padding is made from closed cell ethyl vinyl acetate (EVA) foam. 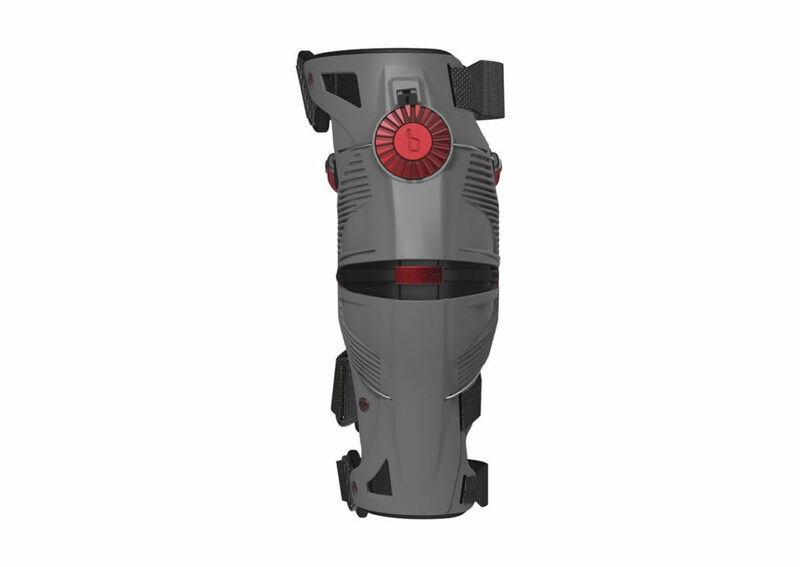 The EVA foam pads are designed to conform to the users unique leg shape providing maximum comfort and control while gripping the users leg and preventing migration. Closed cell EVA Foam won’t absorb moisture (sweat), so they are odorless and easy to clean. The velcro straps are designed to be comfortable and fully adjustable. Thermo Plastic Rubber (TPR) Pull Tabs are durable to make the straps easy to use and are numbered to prompt the user to tighten the straps in the correct order to ensure proper fit.